Luscious lips was one thing I found hard to do before I attended my nail Master class!! I think I have now perfected the art of the lip! I couldn't decide which colours to do so I decide to use my pastel shades with a complementing brights and I am loving the result.. especially on this bright and sunny day! 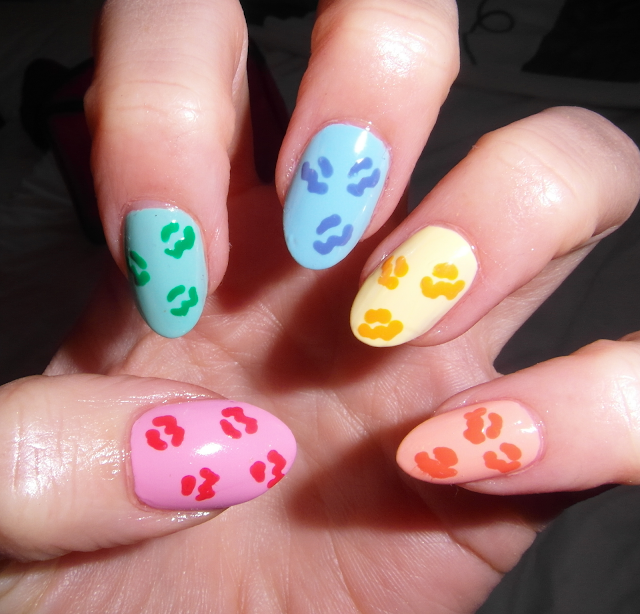 How fun are your nails right now! Those lips look like decals, nice work!